I'm posting this as part of a movement to present some reality, honesty and authenticity from the blogging world. There are many preconceived notions about what a person's reality is versus their online profile. These posts are an effort to align these two images. There has already been two waves of posts, which you can find at Creature Comforts and Meg + Mimi and the very first post from Jess Constable that inspired the movement. Having read many of these posts, it really is refreshing and puts me at ease with what I've written and also about some of my personal misdirections. My friend Leslie invited me to participate in round three and I'm not sure why I was so quick to say yes. Maybe because I had already just posted a slightly exposing article on my lack of friends which isn't an easy thing to admit. 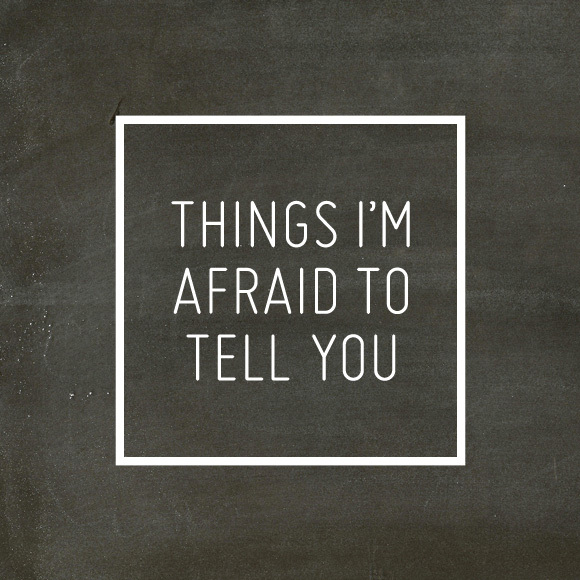 But, in an effort to support my friends and maybe push myself out of my comfort zone I present to you a few Things I'm Afraid to Tell You. 2. I have no confidence in... anything. I believe that I am average at many things and do not excel at anything. I always feel like I can do better and reach higher and that when people tell me I've done a good job it's because they don't want to hurt my feelings. 3. I am torn about having children. My whole life I have wanted a family and recently I have started telling people that being a mom is my ultimate career path. That being said I'm terrified of having children for a few reasons. One being that I really feel like we aren't doing a sliver of what is required to get our planet back on track and to have it last us more than 50 years. What kind of a world am I bringing a child into? Will they even be able to live a full life? Another reason being post-partum depression. For some reason I'm convinced that I will suffer through it. That I won't bond with my baby, that I'll go wackadoo and that (heaven forbid) I cause someone harm. And lastly, my mom had two giant babies (11+ pounds and 9+ pounds) and just the idea of going through that makes me want to cross my legs and waddle around like that forever. RB wants them and I do want them right now but these reasons are causing me much hesitation and also making me feel like it would be selfish. 4. Despite not having confidence I want to be the best at everything. This is probably why I don't have any confidence - there will always be someone better. It's terrible to think that I want to be better than my friends. What an awful thing to want! And yet I find myself wanting to have the most unique wardrobe, the cleanest house, the best food, and the best life. This makes me sad because I really love my friends and am constantly amazed and proud of what they are doing and achieving. And yet I find myself thinking I can do better. What a snob I am. I'm trying to be more thankful for what I have and to not compare myself to others. It's a work in progress. I have some other friends who have joined me today, please check them out and lend your support! 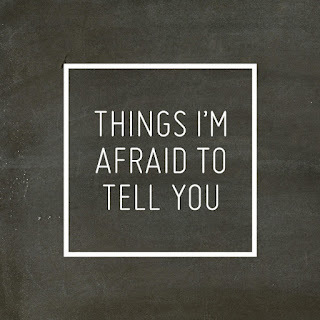 In which I post fun and favourite things from my week, (almost) every Friday! 1. 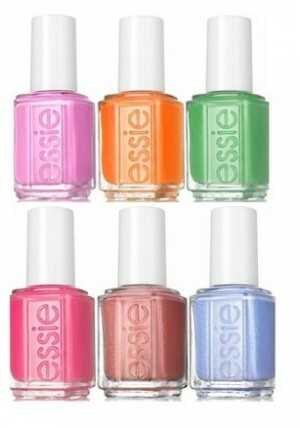 Essie summer nail polish... and summer nail colours in general. I'm loving coral & green, both of which are everywhere these days. 2. Salted caramel. It's everywhere! It's sweet, it's savoury, it's everything I want to be. I bookmarked this recipe for salted caramel syrup... and then found this recipe for salted caramel icing... can you see the cupcake creations in my future?? 4. Last weekend RB and I made this wonderful yard game known as Kubb (pronounced koob). We had the blocks ready when his family came to visit and played it all afternoon. It was very simple to make and cost about $40 for all the pieces. We used these directions to build our set. It'll be perfect to bring to the beach with us, too! 5. 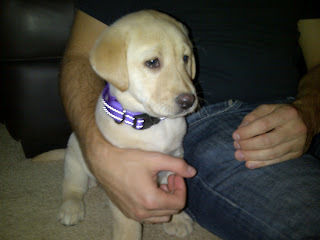 Remember when this little puppy came into my life and become Boomer's best friend? Look at the fuzzy downy face! Well... she's all grown up!! 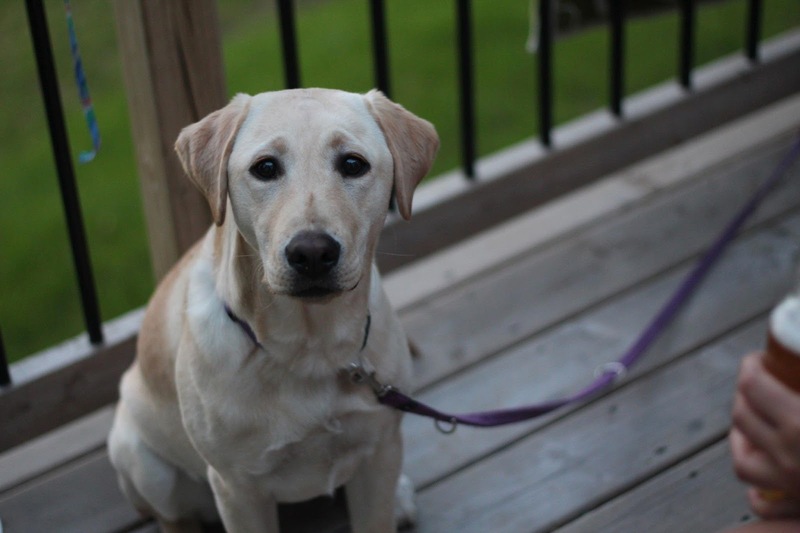 But what a beautiful dog she has turned into! She's still a giant goof, though. She is almost the best dog. Almost. Sometimes I find myself so deep in the blogosphere I'm not sure how I got there. Those darn 'You might also like' links get me every time and I end up 6 blogs away 10 posts in. Today, I found myself reading some pretty heavy material which resulted in some serious reflection. All of this led me to a conclusion that I have been feeling for about 2 years now and have really been carrying lately. I just don't have any good friends. I have many wonderful people in my life that I am happy to call my friends. Largely male, we have a great time when we get together and I feel blessed to have such an awesome network surrounding me. I just don't have a best friend, with similar interests. My closest friends live in another city, making it difficult to act on any everyday activities. This, coupled with an overwhelming feeling of not belonging results in a serious pursuit of companionship. In the past month, I've found a way to better explain this. I've never felt any sense of belonging at any stage of my life. In a room full of women, I don't feel feminine enough. In a room full of engineers, I don't feel techy enough. In a room full of baker's I don't feel talented enough. Put me in a room full of female engineer bakers and maybe I'll fit in, I just haven't found that room yet! Over the past two years I've really discovered what my true hobbies are and I've pursued them, which tends to be alone. Something I am ok with but would prefer to have a girlfriend along for the ride. (I originally wrote 'gal pal' and immediately gagged and changed it to girlfriend.) Really what I'm looking for is a girlfriend. To me, having good friends means having the same interests and enjoying those interests together. DOING things together beyond having drinks and chatting. I just seem to fall into a category that lacks common interest. Or, as those closest to me would say, I fit into a category that surpasses my age group by... 30 years. Going to the farmer's market. Disclaimer: I go at 6:30am. Sewing, maybe a joint project or some interior decor project that we are tackling in tandem. Some kind of crafting class. Maybe beading, or painting, or sewing etc. Gardening. Maybe we are both new to this (I sure am) and we're trying to grow something this year and sharing in our research and maybe even helping each other with the yard work. (Now THAT's friendship). Any kind of new cooking skill/endeavour. Maybe we try making cheese or perfecting beer can chicken. I'm thinking that maybe my two years of 'self-hobby-discovery' has created a certain rigidity that isn't appealing to many. For example, I don't want to go to the farmer's market later in the day. I don't want to do anything that involves sitting around, I'm a DO-er, not a WATCH-er. This is going to need a (likely just as wordy) follow-up post as I think I've only scratched the surface of what I'm looking for/what I need to do. Who else is obsessed with washing their face? I'm a 2-times per day type of girl. Once in the shower and once before bed. I use face cleanser, toner, and moisturiser. I've tried a few different products and found most of them heavy and rough on my skin. I have dry, pale skin so it's pretty easy to get blotches and blemishes. That and I'm OBSESSED with sunscreen. I swear ever supermodel who is 40+ attributes their still-clear skin to wearing sunscreen. DO IT. After finishing school and making real money, it was time to move past the drug store brands and see what else was out there. My first stop - The Body Shop. I hadn't frequented TBS since high school when Satsuma was the choice scent of my generation and no teenage girl could get enough lip balm. Time for a revisit. I was welcomed with a whole line of face care - formulas for every skin type and age. For my skin type I was drawn to the Vitamin E line. 1. Vitamin E Cream Cleanser - daily cleanser, super light on your face, doesn't give me a 'sweaty' or 'sticky' feel after I've used it. Also doesn't feel like I'm ripping my skin off. 2. Vitamin E Hydrating Toner - daily toner, used after cleanser, this bottle will last you 6 months! 3. Vitamin E Moisture Cream - daily cream, used after toner. Very light and refreshing. 4. Vitamin E Gentle Facial Cleansing Wipes - these puppies are cleanser-toner-make-up-remover in one! I use these to travel. One pack replaces 3 bottles and they don't count as a liquid (WIN!). I also use them in the evening if I'm feeling lazy (1 step instead of 3). 5. Vitamin E SPF 15 Moisture Cream - I use this from May-September instead of the regular moisture cream because SUN SCREEN WILL SAVE YOUR LIFE. Seriously, don't get my started. I don't care if you use this product or not, please use something that has SPF! I've also started using the nourishing night cream and the body butter... they really make every product for every skin type! A few tips - some of these products are a bit pricey but TBS has sales all the time. They are often 'buy 2 get 1 free' types of sales so your cost is quickly reduced. They also stack coupons and deals so you can often get an even better deal. There's also a travel/starter pack for all the skin care lines, start here to test out the different products! *Not a sponsored post, I just love this stuff! **UPDATE! I didn't even realize that this counts as an item on my Life List! "#54: Buy a bicycle and USE IT". 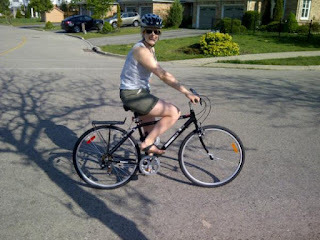 Purchased Sunday & rode to Zehrs on Monday!! You guys, the BEST thing happened this weekend. RB and I were sitting on the couch when I suggested he take Boomer for a roller blade. As it was 25c and sunny, RB immediately agreed that this was an awesome idea. I was then suddenly overcome with jealousy. RB + sunny weather + Boomer = awesome time! Except at the end of awesome but now we're just getting technical. It was then that I decided we needed to go get me a bike. I couldn't go on sitting on the side lines as my two favourite dudes raced into the warm sun of our neighbourhood. This had to change. I naturally started with twitter, which has become my go-to advice generator on... everything. I got 8 response, 6 of which said 'try McPhail's!' Off we went, credit card in hand and anxiety through the roof. Oh wait, anxiety and biking don't go together? Oh... what if you haven't been on a bike in 12 years and the last one was a BMX that you rode up and down a gravel road that had no traffic on it? What if you didn't learn to ride a bike until you were 12? What if you make all efforts to avoid any activity that involves taking your feet off the ground? WHAT IF the whole world wants to ask HOW you ride a bike and you feel the need to prove to them that you CAN DO ANYTHING I DON'T CARE WHAT YOU SAY. Ya, that too*. I walked into the bike shop with no expectations. I walked out with a bike, a rack, bags for the rack, a helmet, and a bike lock. Also an excellent service experience, if the 6/8 recomms don't do it for you, make that 7/9. We got home, RB strapped on his blades and got the dog ready, I strapped on my helmet because RB won't let me get on my NEW BIKE without it. Off we went!! Here's me and my sweet new ride. There are 2 bags not shown that hook onto the back rack and hang over the back tire, I am going to ride to the grocery store and see how many bags of chocolate chips they fit. Now, when I get on my bike, I hear this kid in my head and it's awesome. *By the way, I ride my bike like you ride you bike. Seriously. How about I tell you now? K, deal. I started a business. I'm selling cupcakes!! My new business venture is called 'I Heart Cupcakes' and you can find me at www.iheartcupcakes.ca and on twitter @cupcakeskw. All the basic info is up for now, please contact me with any other questions. It's been a ton of fun getting things ready to launch. RB and I have had endless conversations about marketing strategies, finances, business plan, and what the future could hold. 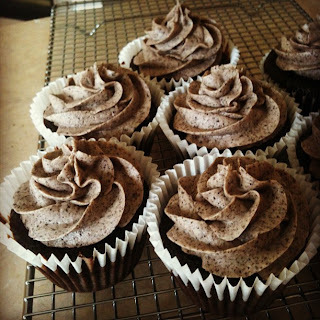 It's a bit scary but I'm going forward with the fact that I'm young NOW, I have the energy NOW, and I'm going to keep making cupcakes anyway so why not see if I can expand my market past RB's workplace. This weekend was my first weekend in business and it was pretty nuts. I started to tell people on Tuesday that I was doing this and by Thursday I had four orders! Turns out Mother's Day was the right weekend to start. A very talented artist friend of mine (I feel so fancy saying I have artist friends) was also hosting a party this weekend and I offered to bring cupcakes as a quasi 'launch' for my biz. 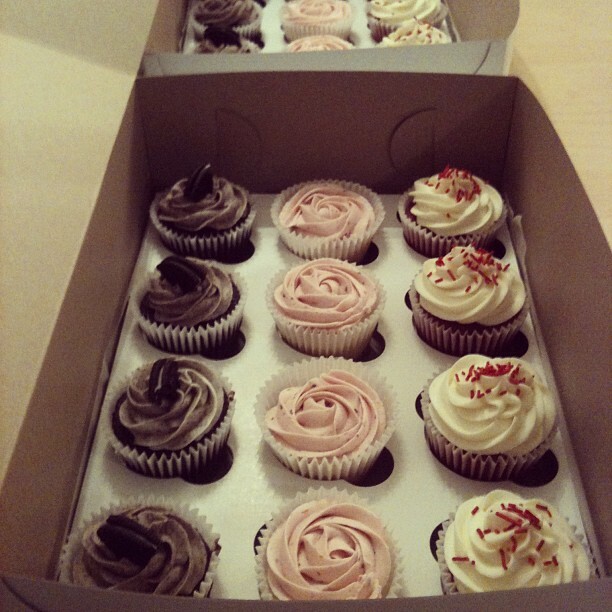 I spent all Friday evening and all day Saturday baking in order to fill the orders and get the promo cakes ready. I packed up 36 cupcakes - variety of Oreo, Red Velvet, and Lemon-blueberry. They all got eaten so I guess it went all right? I was a bit nervous, watching people eating and analysing the looks on their faces... generally looking like a creep. Hopefully I'll get used to that and relax a bit. I have a second promo event on Wednesday that a friend invited me to speak at/pitch the cupcakes. It's going to be a room full of women which is giving me some confidence - what better crowd could I ask for?? With the promo event this week and the other orders I've gotten over the weekend I have four more orders this month! Now four doesn't sound like a lot but I'm just excited that it's greater than zero. The most grandiose thank you to my supportive friends for your kind words and your business, too! You guys are making this worthwhile, thank you. Hello friends! What a beautiful spring day here! Yesterday we got an old fashioned Spring storm and we slept with the windows open to feel the breeze and listen to the thunder. 1. 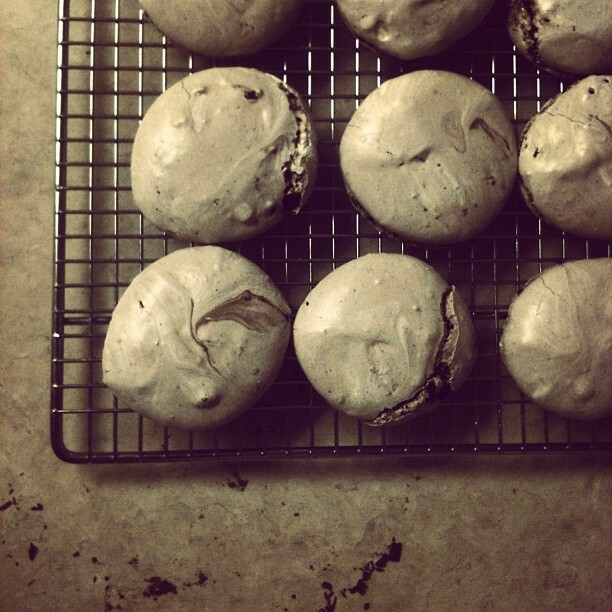 I made these super easy and awesome meringue cookies. RB took them to work and a coworker commented that they taste like hot chocolate. Totally makes sense as they are crunchy/soft/crumbly and chocolatey. 2. The newest cookbook from Janet & Greta is 'The Looneyspoons Collection' which contains all their favourite recipes from their first 3 cookbooks. Full of easy and healthy recipes, it's my go-to book for simple week night meals. 3. I hope sunburst mirrors never go out of style so that when I finally get around to making one I won't look like I'm old fashioned. 4. Thou needs to get thyself to thy local market of farmer's! First crops are up in these parts - including asparagus and ramps. Hoping to get out tomorrow so I can test out this delightful Ramp Carbonara. 5. Did you know that the Canadian Mint struck the final penny today? Have a beautiful weekend friends, mine will be full of gardening, frisbee, and friends! *I just went through this post and deleted 7 exclamation points. I have a problem.